Robert Ariss - activist and academic - had a unique vision of HIV/AIDS. As an HIV seropositive individual for many years before his death on May 9, 1994, he was a full participant in, and critic of, the development of the gay community's response to the HIV epidemic both in Australia and internationally. 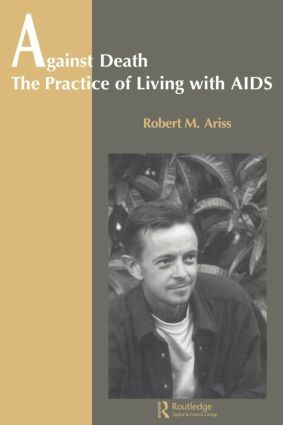 Though Ariss' life is a definite presence in this study, Against Death: The Practice of Living with AIDS is not an autobiography. Instead, it is a unique and critical account of a public health crisis, a community's response, and the politics of sexuality. It was in Sydney, Australia, world-famous for its Gay and Lesbian Mardi Gras, that Robert Ariss lived and worked. It is his vision of that community - of its members infected with and affected by HIV - which is documented in this remarkable anthropological study. Yet the study's implications reach beyond Sydney to all communities living with HIV and AIDS. "This is an excellent, thought-provoking book that looks at a snapshot in the history of AIDS in Australia. It provides some insights on how government and science have responded to the activists. For those doing research in the social aspects of AIDS, this is an important book to be read."